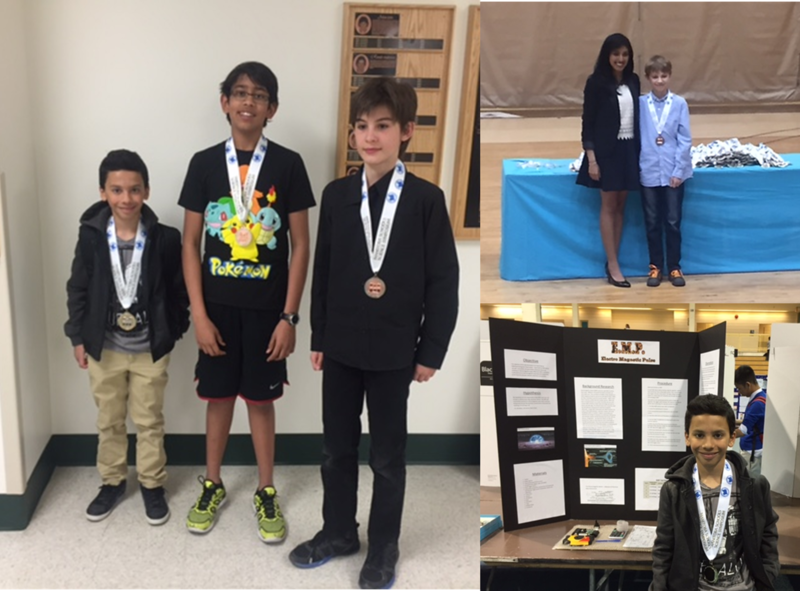 Congratulations to Keegan, Navin, Joshua and Sandro who represented SCCS at the Regional Manitoba Schools Science Fair last weekend. They achieved a silver and two bronze medals! 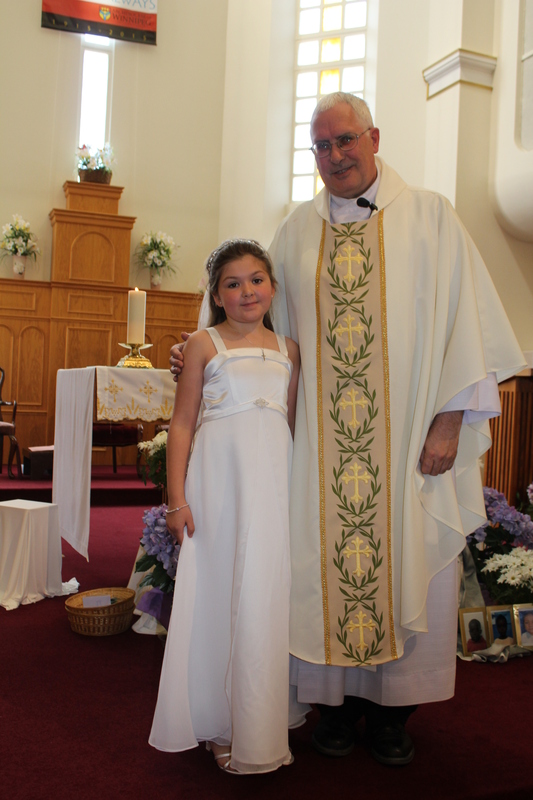 Congratulations to the SCCS students who received First Holy Communion at St. Charles Catholic Church this past weekend. May you always remember the importance of this day as you receive Christ into your life. Good job! We’re proud of you! 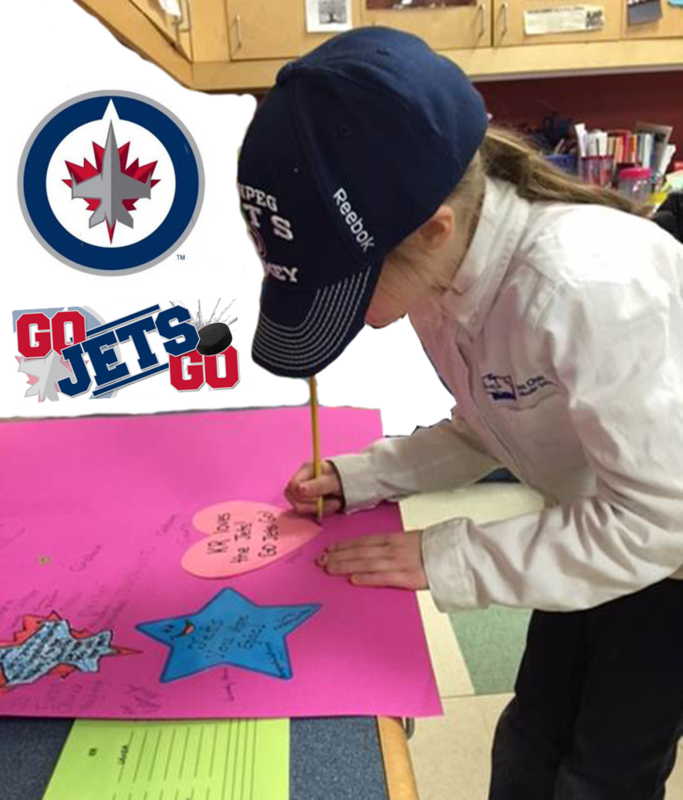 Students prepare a card for Coach Maurice on the day after playoff game 4. They wanted to share their appreciation – it takes real courage to play hard and lose with dignity! We’re so proud of his leadership and the team’s efforts. Go, Jets, go! If you’re ever interested in seeing the leaders of tomorrow refining their leadership skills today, please join us for a school Mass! 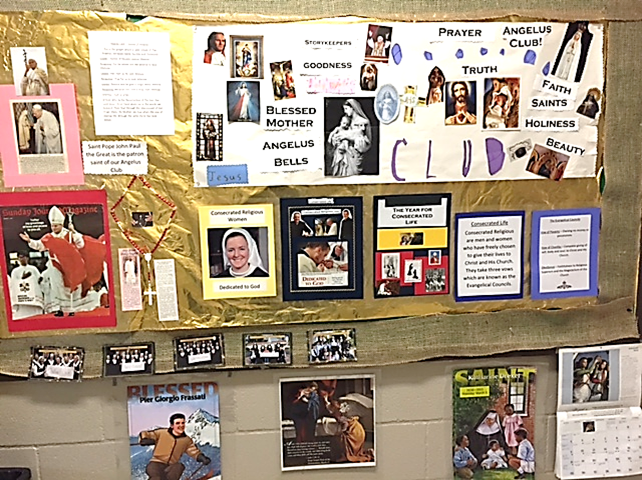 Two years ago, Miriam Ragetli founded the SCCS Angelus Club. 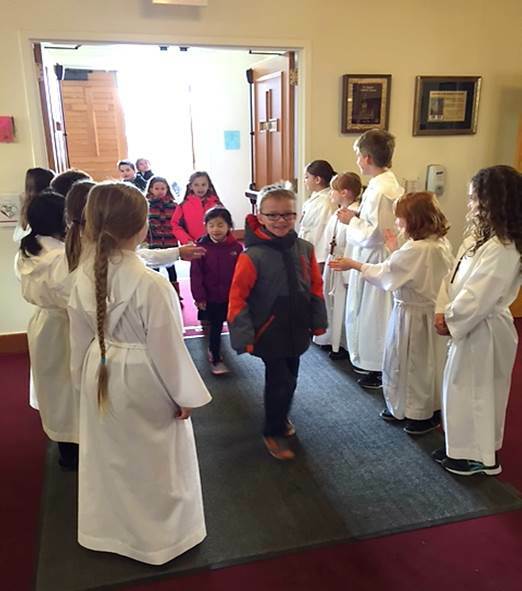 This group of students in grades 3-5 meet weekly at lunchtime to pray together and to study the lives of the saints. This year they are especially praying for vocations and those in the consecrated life to celebrate the Year of the Consecrated Life. Grade 8 class using their iPads in Social Studies. 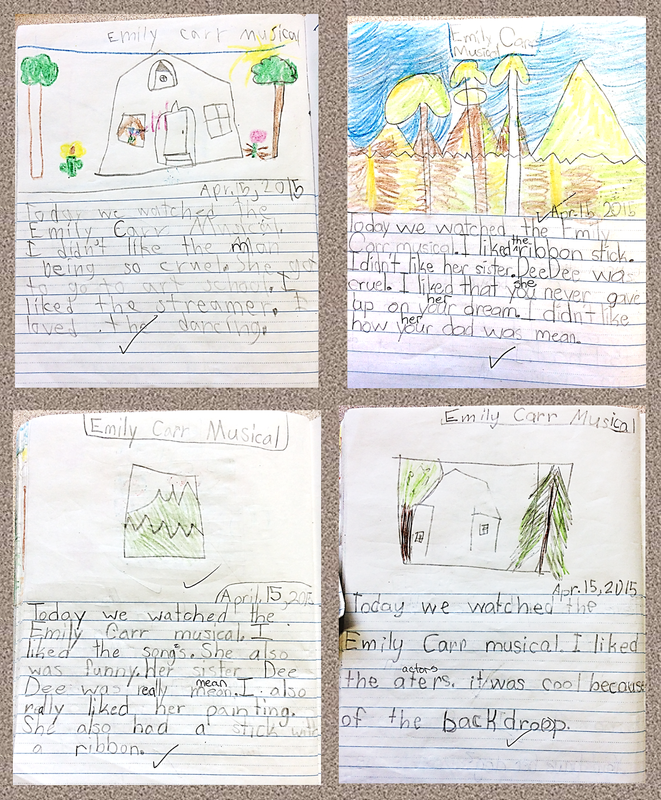 The K-5 students were treated to a presentation on Emily Carr recently. Emily Carr is a famous Canadian artist and a unique person and artist, who struggled a bit in school because of it. The play touched on this, through acting, music and singing. The backdrops included her art as well as a depiction of her homestead. In preparation for the event, the Grades 1-2 students studied some of her artwork and made their own replications of it. These are pictures created by Mrs. Sherlock’s Grade 1 class (finger-paints) and Mrs. Langlois’ class (colored sketches). Following the event, the students wrote reflections in their journals.